Can You Get Arrested For Laughing At The Police? Is taunting police officers a criminal offense? Most people know what’s legal and which types of behavior will get you arrested. If you rob a bank, for example, you’re going to get charged with theft. If you punch someone in a bar, you can count on being taken into custody for assault. However, some allegedly criminal behavior exists in a gray area. In some cases, whether a person’s conduct constitutes a crime comes down to their word against the word of the police officers involved. Police officers have a tough job. They’re supposed to protect the public, enforce laws, and promote safety. But they don’t have unlimited authority to govern people’s conduct. Interfering with an arrest is one thing. If an individual tries to stop the police from doing their job, the police have the authority to make an arrest. However, is laughing at the police a crime? Is taunting police officers a criminal offense? A recent case is asking that question. In the NFL and other professional sports, players can get fined for taunting the opposing teams, fans, or officials. But what happens when they do it off the field? In a recent case, one former NFL player is facing charges for allegedly taunting the police during a friend’s DUI arrest. The official name of the charge levied against Delmas is “resisting arrest without violence.” He was released on $500 bond. 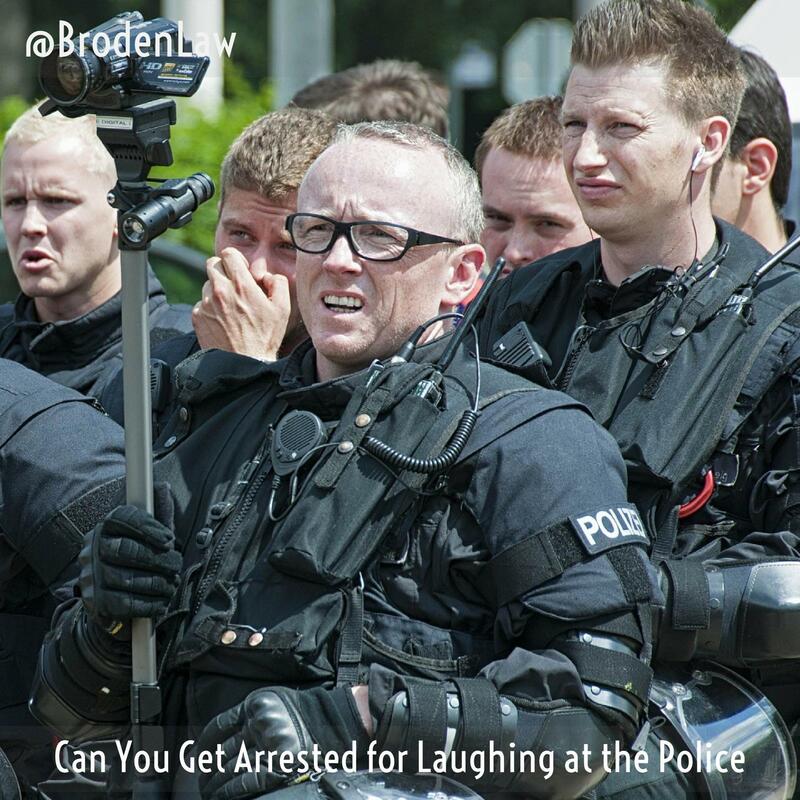 In most cases, the police aren’t going to arrest someone for laughing at them. However, if you put yourself between the police and a fleeing suspect, or you are a distraction that prevents officers from fully concentrating on carrying out their job, you could be arrested. It’s quite possible that Delmas was simply concerned for his friend, or that he felt the police were wrong to stop his friend. However, a better course of action would have been to stay calm and seek legal counsel as soon as possible. Let Police Do Their Job. Keep in mind that the police are responsible for their safety and yours. If you are distracting to the point that they feel you’re a threat to their safety, a suspect’s safety, or your own safety, they have the authority to take you into custody. Cooperate, then Call Your Lawyer. If you disagree with what the police are doing, it’s best to be cooperative and to follow their instructions. As soon as you have the opportunity, contact an experienced Texas criminal defense lawyer. It’s much easier to defend yourself if you’re not facing charges for resisting arrest, assaulting police officers, or other charges the police may tack on.